December 27, 2015 (San Diego’s East County) – A diverse group of people and organizations topped our headlines this year. Some made a positive difference in our communities. Others sparked controversy. Still others have been fighting for changes in our East County region. These are our top newsmakers of the year in categories that include animal protection, business, the Chaldean community, education, elected officials and candidates, the environment, health, land use controversies, law enforcement, music, Native Americans, philanthropy, and watchdogs of democracy. Bobbi Brink: Founder of the Lions, Tigers and Bears facility in Alpine, Bobbi Brink has a heart of gold and a passion for providing lifetime safe havens for the exotic animals she rescues. This year alone, she’s traveled the country rescuing numerous bears and raising funds for a new bear habitat, also taking in an abandoned tiger cub named Himmel, in honor of the late newscaster Larry Himmel who was long a friend of the facility. Brink has also lobbied for restrictions on private ownership of exotic and endangered animals at the federal level, most recently working to stop the practice of cub petting that puts young animals at risk. Micole Moore and Teri Kerns: They’re the movers and shakers in Ramona’s fast-growing winemaking industry. Micole Moore is president of the Ramona Valley Vineyards Association, while Teri Kerns serves as editor of the Ramona Valley Wine Region Magazine. They’ve been outspoken in testifying and organizing vintners to speak out over proposed changes to the County’s boutique winery ordinance—changes that some fear could cause fledgling small vintners to wither on the vine. They’ve also savored the fruits of their labors as owners of the Ramona Ranch Winery, which picked up numerous honors this year including a best in class, gold and silver medals in the international Grand Harvest Awards. Cheers! Mark Arabo: Mark Arabo has emerged as an outspoken national leader in the Iraqi-American Chaldean Christian community. Over the past couple of years he’s met with Secretary of State John Kerry, also visiting the United Nations to call for protection of Christians facing genocide in Iraq and Syria and push for air strikes in Syria to combat ISIS. Earlier this year, he helped craft a bipartisan bill to raise the cap on refugees. Along with Congressman Juan Vargas, he appeared in a Fox TV news special on efforts to secure safe passage and freedom for refugees from the region. He also helped organize a rally outside an immigration detention facility in Otay Mesa, calling for release of imprisoned Iraqi Christians seeking asylum in the U.S.
Father Noel Gorgis: Pope Francis intervened to cancel a decree issued by Chaldean church patriarch Louis Sako, which would have ordered Father Noel and several other U.S. priests back to Iraq. But parishioners asked the Pope to spare Father Noel, arguing that a return to Iraq amounted to a death sentence, with ISIS slaughtering Christian religious leaders there. Thanks to the Pope’s intervention, Father Noel continues to lead his followers at St. Peter’s Chaldean Cathedral in El Cajon, also raising his voice to seek help for Iraqi refugees detained at Otay Mesa. Alpine Taxpayers for Bond Accountability: Fed up after years of efforts to build an Alpine high school proved fruitless, Alpine residents formed the Alpine Taxpayers for Bond Accountability and along with the Alpine Union School District (AUSD), filed suit against the Grossmont Union High School District. At stake are bond funds approved by voters in part to build the long-promised high school. The case will be heading to trial in 2016, Judge Joel Pressman ruled at year’s end. Alpine parents also petitioned to divorce from the Grossmont District, launching a unification petition to join the AUSD. The County Board of Education recommended that the state approve the request, but a final decision remains pending. Miguel Angel Soria and Peter Alkatib, Diego Charter Net: Miguel Angel Soria and Peter Alkatib at Diego Valley Charter School in El Cajon are working wonders, helping 80% of their students—all at risk and drop-out youth—graduate with a high school diploma and go on to college or a career pathway. They also co-produced the “Chaldean Voices” documentary film that aired on KPBS and in El Cajon to celebrate Chaldean-American month. About 30% to 40% of the students at Diego Valley are Iraqi Chaldeans and most of the rest are also minorities. “I think that America draws its strength from its diversity,” Soria says. Joel Anderson: He’s served in the Assembly and State Senate, representing East County. Now he’s set his sights on a Supervisorial seat, challenging popular incumbent Dianne Jacob. Chair of the American Legislative Exchange Council (ALEC) in California and a major fundraiser for the Republican party, Anderson could prove a formidable force—but it’s an open question whether he can unseat Jacob, who has served for over two decades and been reelected by very wide margins in recent years. Lorena Gonzalez: Daughter of an immigrant farm worker and nurse, Lorena Gonzalez left her post as head of the San Diego-Imperial Counties Labor Council to serve in the state Assembly with an aim to help working people, immigrants, and families. This year ,the Legislature passed 13 bills authored by the San Diego Democrat. The Governor signed into law measures to, help grocery workers keep their jobs when store chains are sold, register voters automatically at the DMV, protect immigrants from fraud protect cheerleaders from injuries, allow condo owners to install synthetic turf without facing fines from homeowners’ associations, and require approval by regulators before utilities that commit major safety violations can award bonuses to executives. Mike Harrison: He’s spent 21 years as a Congressional aide, currently Deputy Chief of Staff for Congressman Duncan Hunter, also working for Rep. Duncan Hunter senior. He holds a master’s degree in government from Johns Hopkins University. Now he’s running to represent our region in the 71st Assembly district. Though his name is less known than his most prominent competitor, Santee Mayor Randy Voepel, Mike Harrison is knowledgeable about issues in towns across our region through his years working for East County Congressional representatives, and believes he’s the most qualified person for the job. As a potential rising star in the local GOP, he’s definitely someone to watch in 2016. Edwin Hiel: Grossmont-Cuyamaca College Board trustee Edwin Hiel has been targeted for a recall effort. The contractors behind the recall disapprove of Hiel’s support for a project labor agreement which would require all district contractors to follow union rules regarding pay and benefits, such as paying for union healthcare even if the contractor already provides healthcare for employees. The San Diego Taxpayers Association has said adoption of a PLA would amount to reneging on a resolution passed by the district pledging open competition for contracts, a resolution on which the SDTA based its endorsement of a bond measure. Dianne Jacob: Long a fighter on issues ranging from beefing up wildfire safety to protecting rural residents from massive energy projects, Supervisor Dianne Jacob this year has taken on an even bigger challenge: finding a cure for Alzheimer’s disease, which has reached epidemic proportions locally. She spear-headed a successful effort to get Supervisors to approve the Alzheimer’s Project. It brings together top researchers and medical experts in hopes of finding a cure, also providing support to caregivers . 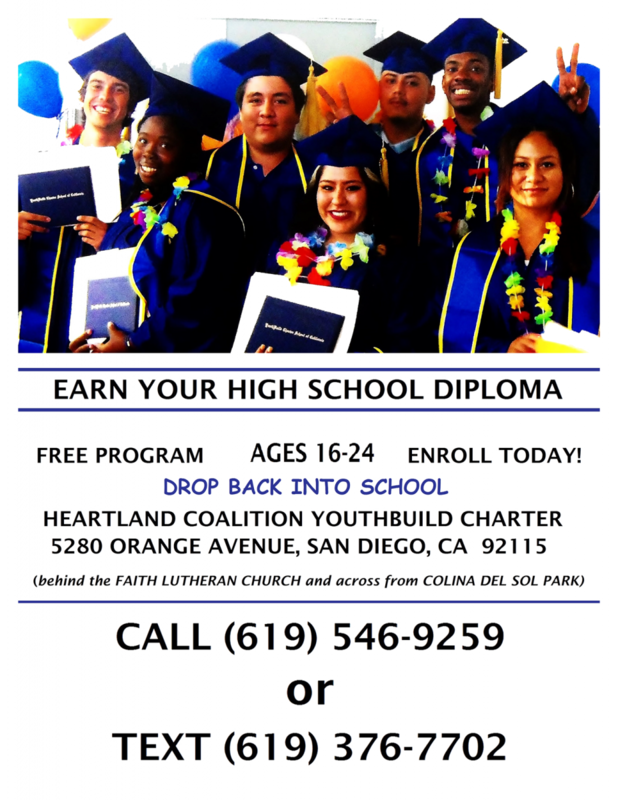 Hear our radio interview with Supervisor Jacob on these efforts. Gary Kendrick: El Cajon Councilman Gary Kendrick has stood up to pressure from the alcohol and tobacco industries, pushing forward laws that are among the toughest in the nation to protect kids from smoking, urge the state to raise the smoking age, and regulate alcohol sales to minors and adults with a record of public drunkenness, also convincing his colleagues to put an alcohol regulation measure on the ballot. He also led efforts to bring two four-star hotels to the city, make a motion to shift toward district elections to fairly represent minorities in the community, and legalize beekeeping for El Cajon residents. Shirley Weber: Assemblywoman Shirley Weber has had a successful legislative session. Bills authored by Weber and signed into law by the Governor aim to reduce racial profiling by police, expand educational services for foster kids, and give CSU and UC students a vote on any proposed student success fees. As Chair of the Assembly Budget Committee, she helped push through a balanced budget that funds reserves and pays down debt, while making investments to improves the lives of Californians including more money for early and higher education, UC funding contingent on admitting more local students, increased student financial aid, and a new earned income tax credit for working families. “This is how a state budget is supposed to function,” declared Weber. Anza-Borrego Foundation: Anza-Borrego Foundation this year acquired nearly 1,130 acres of the Lucky 5 Ranch in the Laguna Mountains with a conservation easement on 433 acres. The acquisition fulfills a decades-long dream of creating a wildlife corridor from the desert to the mountains, with the acreage ultimately destined to become part of the Anza-Borrego Desert State Park. Nicole Capretz: This month, San Diego’s City Council voted unanimously to become the largest city in the nation with a goal to produce all of its power from renewable resources. Passage of the landmark Climate Action Plan can be largely attributed to Nicole Capretz, who helped get the ball working while working for Todd Gloria when he was interim mayor. Later she started a nonprofit, Climate Action Campaign, that has advocated for that goal. “The beauty of this commitment is that it creates clean air and energy jobs, brings back local control of our energy future,” she said upon passage of the landmark plan, adding that the action “puts us back in charge of our energy and water destiny.” Capretz also testified before La Mesa’s City Council, pointing up inadequacies of La Mesa’s Climate Action Plan. Cleveland National Forest Foundation: Under the leadership of Jack Shu and Duncan McFetridge, the Cleveland National Forest Foundation has waged active battles to preserve our federal forest lands. This year, the group instigated a lawsuit to push for changes in a regional transportation plan that was upheld in part by the state Supreme Court. The CNFF battled development encroachment on former Forest Conservation Initiative lands opposed power lines through forest lands and spoke out passionately against allowing military firearms training on land surrounded by federal forest. Dr. Richard O. Butcher: Named Practitioner of the Year by the National Medical Association, Dr. Richard O. Butcher of El Cajon is a veritable institution in San Diego’s medical, philanthropic and sports communities. Serving in private practice in Southeastern San Diego for decades, he is also president of the Care View Medical Group, past Chief of Staff at Alvarado Hospital, and former president of the San Diego Medical Association. He’s been a champion seeking to end racial disparities in medicine and battling chronic disease in low-income neighborhoods. He co-led efforts to create the Multicultural Health Foundation and along with his wife, Vickie, co-founded Water for Children Africa, bringing safe, sustainable water to rural African villages and educating people there on safe health practices. Larry Banares and William Sauer: Hospital food that’s not only healthy, but also savory, full of fresh ingredients, and visually stunning? 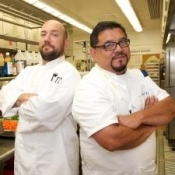 Two celebrated San Diego chefs announced plans to cook up just that when they redesign the kitchen menu at Sharp Grossmont Hospital. These culinary experts collective experience includes cooking up feasts for heads of state, rock stars and other celebrities, starring on cooking shows, serving as top chefs at resorts and top hotels, plus winning a Culinary Olympics competition. Bon appétit! Kylie Rowand: The Alpine toddler lost her battle with neuroblastoma cancer in February, but captured the hearts of the community. Pink ribbons filled the town as residents held fundraisers and prayer vigils. 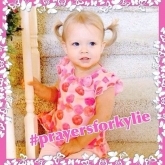 Her parents, Luke and Lee Rowand, turned their grief into helping others, starting the Kylie Rowand Foundation and hosting an “Honor the Angels” event to remember those lost and help other families find hope for a cure. Adam Beardsley: Heartland Fire Deputy Fire Marshal Adam Beardsley has working to save lives as a firefighter, and as a volunteer with both the Burn Institute and Muscular Dystrophy Association. So when the 33-year-old found himself in need of a heart transplant, fellow firefighters and Bolt Brewery in La Mesa came to his aid with a fundraiser. The community response was heartwarming, raising over $18,000 from an estimated 1,000 guests. In February, shortly after Valentine’s Day, Beardsley received his new heart—and voice hopes that the publicity will help others on transplant waiting lists as well. Marc Halcon: A lightning rod for controversy, Marc Halcon has strived for years to provide commercial firearms training at Covert Canyon, his property in rural Alpine surrounded by Cleveland National Forest which ECM recently toured. This year, he scrapped his application for a major use permit and scaled back activities to only firearms training for law enforcement and military personnel. The county’s Planning Director reclassified activities as law enforcement and found them allowable under existing zoning without a major use permit. Planners deadlocked on an appeal. Though Halcon hailed the victory as a win for his property rights, neighbors and environmental groups contend the action, taken without California Environmental Quality Act review, is illegal. They say Covert Canyon threatens the environment, poses a fire risk, and deprives forest users and rural neighbors of peace and quiet. They’ve asked Supervisors to hear an appeal—and threatened legal action if th e decision is not promptly reversed. Jamul Action Committee: Waging a battle to block a casino at the Jamul Indian Village, the Jamul Action Committee sought an injunction and filed multiple lawsuits. Thus far none have prevailed, though some cases remain pending on appeal as construction of the casino nears completion. The group claims to have amassed thousands of signatures on a petition opposing the casino, citing fears over increased traffic on State Route 94, fire evacuation concerns, and loss of rural character. The group also organized a “flash mob” of some 200 protesters at the construction site. Chief Jeff Davis: Filling the shoes of retiring El Cajon Police chief Jim Redman, new Chief Jeffrey “Jeff” Davis has served on the El Cajon Police force since 1986, rising to the ranks of Captain. As a member of the S.W.A.T. 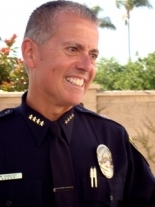 team in 2001, he was among the first responders to mass shootings at Granite Hills and Santana High School. 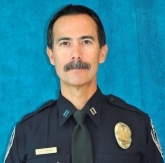 He is a graduate of El Capitan High School and Grossmont College and has also served as the Department’s Training Manager and oversaw the city’s Crime Analysis Division. Christina Tourin: Her love of music inspired Christina Tourin to lead a folk harp revival with its roots atop Mt Laguna, which now has nine harp-making companies in a town with just 81 residents. Also a music therapist and director of the International Harp Therapy Training program, she organized a St. Patrick’s Day concern featuring over 100 Celtic harpists from around the world. Read more and hear our interview, including music performed by this remarkable musician, here. Erica Pinto: Jamul Indian Village’s new Chairwoman, Erica Pinto, is the first woman elected to chair the tribe. She has big dreams for her people and the community. Elected to the tribal council at just 21 years of age, she wants to help her tribe become self-sufficient, providing leadership at a critical time for the tribe with its casino set to open next year. She also believes in helping others. She and her brother founded Acorns to Oaks, a program to mentor tribal youth in life skills, encourage kids to excel in school and steer clear of drugs. She aspires to provide charitable assistance for the hungry, homeless and those in recovery, also helping communitynon profits including Madeleine Sophie’s, Crisis House and Noah’s Homes. Ron and Mary Alice Brady: Grossmont Hospital Foundation received a $2 million donation pledge in December from Ron and Mary Alice Brady. The philanthropic-minded couple also recently made six-figure donations to benefit the local YMCA this year and last year, the Boys and Girls Clubs of East County, setting outstanding examples for giving back to help their community. Mimi Pollack: A writer for East County Magazine and a teacher at Grossmont College who teaches many refugees, Mimi Pollack was moved by the plight of refugees from the Middle East and Africa flooding into Europe after fleeing violence in their homelands. With winter approaching, the need for humanitarian help was great. So Pollack set up a GoFundMe site, teaming up with a European relief organization and successfully raised over $1,000 to provide blankets and warm clothing to the refugees. ““Helping others is food for the soul and good karma,” she concludes. Cynthia Simpson, head of Solidarite Grands Froids, the organization that the Gofundme Campaign helped needed supplies for the refugees arriving in Europe wrote in an email to Pollack, "...Thanks to you and all your help, we are opening an official clothes distribution center in one of the large refugee camps. 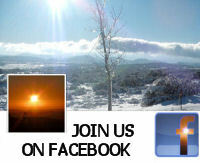 The "store" will be opened on January 13. The number of refugees is 400..men women and children. We are the first to open a venue like that and this was only posible thanks to you." Khem Karel: After a 7.8 earthquake devastated his native country of Nepal in April, Khem Karel, owner of the Himalayan restaurant in La Mesa, sprang into action. A survivor of the Northridge quake that devastated a restaurant owned by his family, he understood the critical need for help. Karel organized a fundraiser at his restaurant to help victims of the tragedy, also teaming up with the Consulate of Nepal in San Diego and a charitable foundation to get word out on how the community here could help natural disaster victims across the world. Citizens Oversight: A watchdog group founded in El Cajon, Citizens Oversight has led the fight for transparency and fairness to ratepayers following closure of the San Onofre Nuclear Generating Stations. Citizens Oversight has filed legal action seeking to halt a nuclear waste dump at San Onofre, sued to try and force the California Public Utilities Commission to hold public rate hearings after back-room meeting with utilities were disclosed in a public records search, and filed a motion seeking to remove a CPUC administrative law judge from the San Onofre hearing after she was named in a search warrant related to the case. The judge stayed on the case, but days later found Southern California Edison in contempt of court for holding back door dealings with regulators.